First I gotta show off the changes I made to the Girl Cave today!! I got Pappa's quilt back yesterday and I hung it in my cave today. When I met Pappa, all he had wanted for a long time was an American Flag quilt for his bed. Pappa was very patriotic and had served in the Korean War (I believe, could be wrong) and WW II (this I know for sure). I immediately set about designing one. I was still pretty new at quilting at the time, so it didn't turn out that great, but Pappa treasured it. He was also the first of the Markham's to accept Tyler and I into the family 100% and unconditionally. I cherish this quilt, not because I made it, but because it belonged to Pappa and he cherished it. It broke my heart that after he passed it was stored in a closet. I love that it is now close to me and I feel closer to him now. Just so you know, I'm not totally selfish, this wall is opposite the door to get into my cave. The door has a window in it, as well as a window next to it. The room next to my cave is the laundry room. So as the boys do their laundry, they can see the quilt as they do their laundry, or when they come in and hang out or talk to me. Same for James. It is a very special reminder to us of our beloved Pappa. Then, on my other wall, I moved my favorite pics of when the kids were little on each side of the Guardian Angel pic from my mom. I love looking up there and seeing their faces! And I finally took what little progress pics I have. First is the Noel ornament. I back-stitched it in a red Krienek and gave it candy cane striping with it also to add some sparkle. I also added a little present button to it. I still need to finish-finish it. I'm hoping maybe this week if I'm not too full with dr's appts! Now I'm afraid the wolf isn't calling as loudly. So depending on how this week's appointments are looking, hopefully I will get to finish the Noel ornament and get a couple of more ornies stitched. Due to the extended family situation, I gave a reprieve on housework this weekend, but I'm going to try and juggle it into my daily rotation this week, if my back will co-operate with it and if I'm not over-run with appointments. Yes, I really need to get that calendar out and take a look!! I hope everyone has had a great Easter and is getting to relax and get lots of stitching done! Your WIPs look great. I really like the wolf! 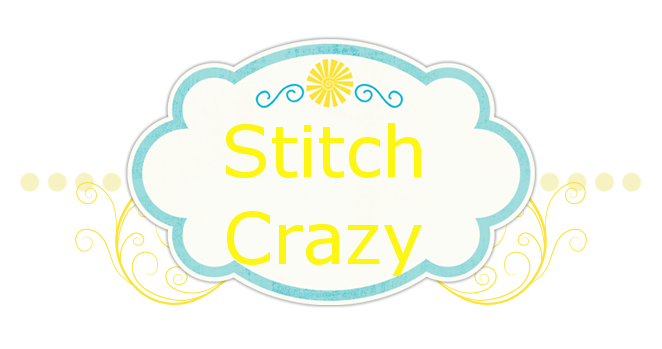 Your stitching projects look great! Your girl cave looks so cozy now with the quilts on the wall and window!